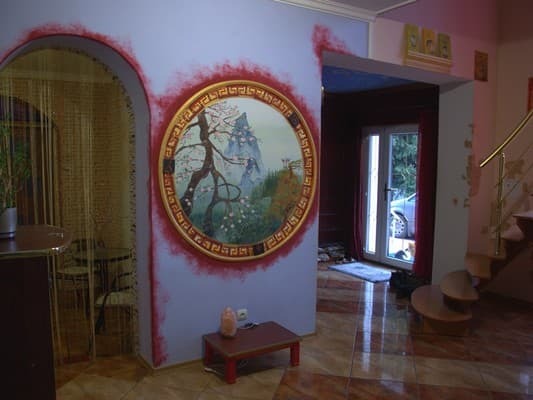 Private Estate "Maryland" is located on the outskirts of Berehovo in Janos, near the thermal baths. Manor is a two-storey cottage with 5 rooms of "Economy", "Standard", "Superior" can accommodate up to 15 people. There is also a family room with a balcony-loggia. Spend leisure time residents are in the living room with TV on the first floor of the cottage. It features a fully equipped kitchen with dining area and a minibar. 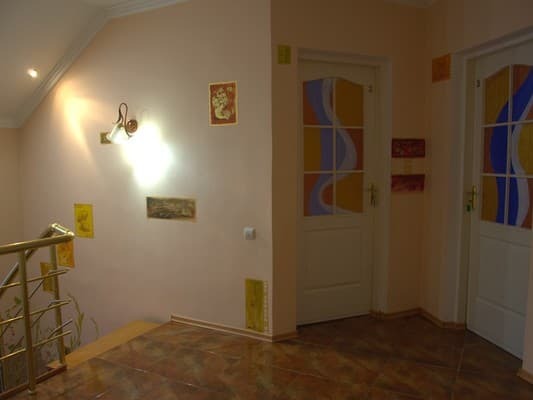 The nearest café and shop 300 m. Heating cottage hot water, provides floor heating and climate-control rooms. Throughout the territory of the estate free access to Wi-Fi. In the yard of the cottage there is a gazebo, barbecue facilities, swings and a parking place. Guests can book a shuttle service to the thermal springs in Onshore and with. Koshino, and Transcarpathia guided tours at an additional cost. Private Estate "Maryland" is located at a distance of 8.7 km from the coast. Description of the room: Compact room for 2 people. Equipped with a double sofa bed with anti-allergy bedding. Bathroom (shower, toilet, washbasin) - on the floor. Rooms are cleaned, bed linen and towels (2 per person) - every 3 days. 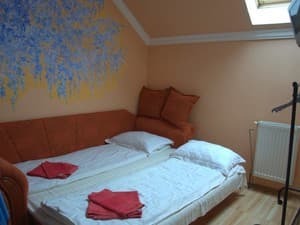 Description of the room: A spacious double room with a double bed. Rooms are cleaned, bed linen and towels (2 per person) - every 3 days. 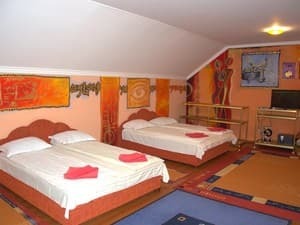 Description of the room: Family Room features two double beds with mattresses ortopedicheskimy. Room is equipped with a bar and seating area, and a balcony-loggia with a table. Rooms are cleaned, bed linen and towels (2 per person) - every 3 days. Extra bed possible in a room category of "family". Paid service, requires prior approval at time of reservation. There is a possibility to use the kitchen. 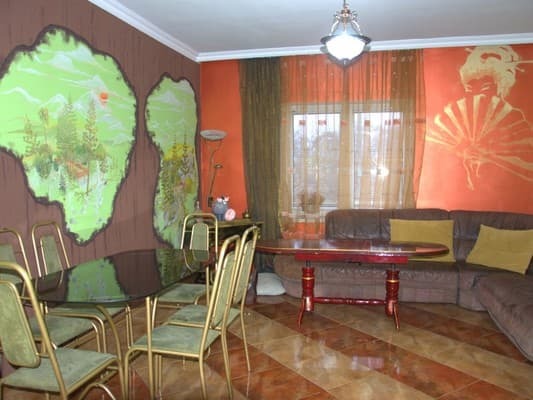 Distance to the nearest cafe and shop - 300 m.
Private Estate "Maryland" is located on the outskirts of Berehovo in Janos, near the thermal baths. Private Estate "Maryland" is located at a distance of 8.7 km from the coast. It is possible to order a transfer.